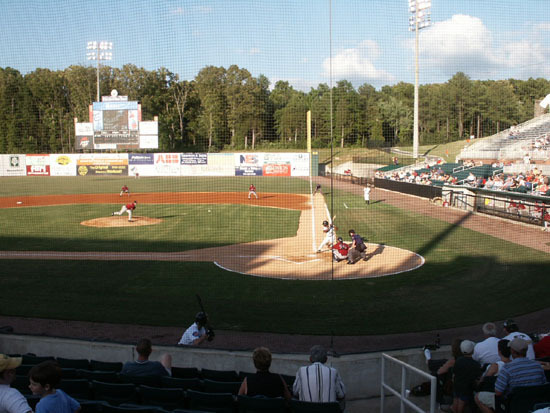 The West Tennessee Diamond Jaxx, a Double A affiliate of the Chicago Cubs, play at Pringles Park, built in 1998, seating 6,000. 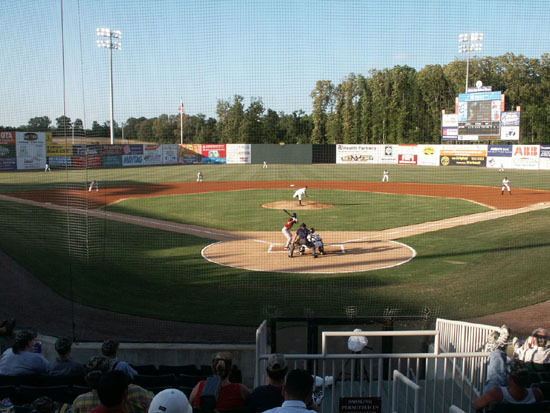 The field is located on the eastern side of Jackson, TN. 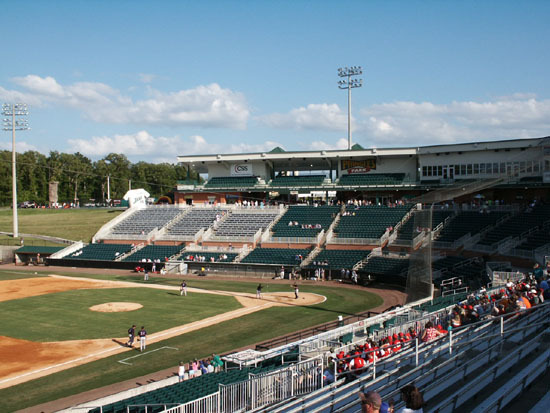 You enter at the concourse level then go down to the seating, which is in two levels with an aisle between. There are green seats which are nice and wide. Three sections of backed aluminum bleachers are on the first base end. 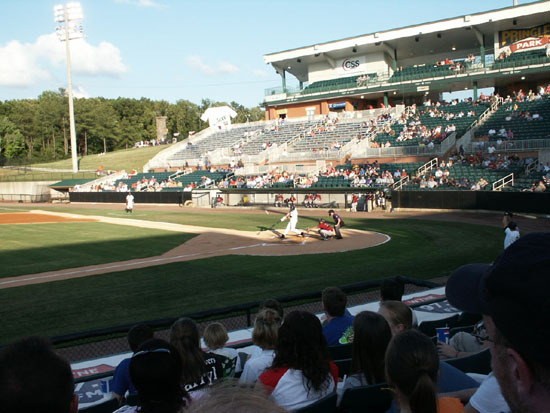 There is terraced lawn seating behind the bullpen on the first base end, mostly used as a play area by the children the night we were there. There is a large covered party patio on the concourse level above the third base bullpen. 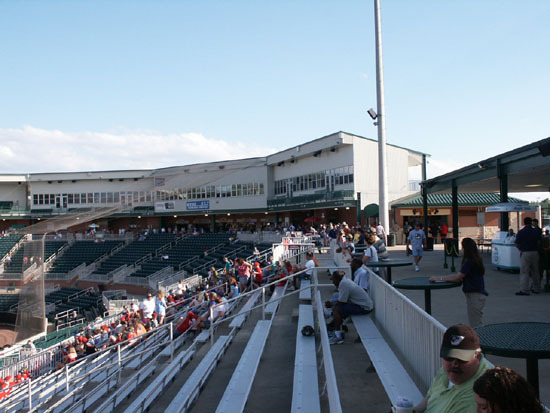 The suites and press box are above the concourse as well as three sections of seats on the first base end. 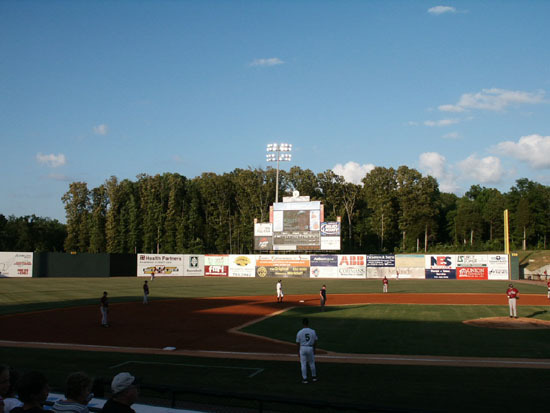 It was TN Army National Guard night and camo baseball hats were passed out to several thousand of the fans to arrive early. They brought a climbing wall that was in use throughout the game. 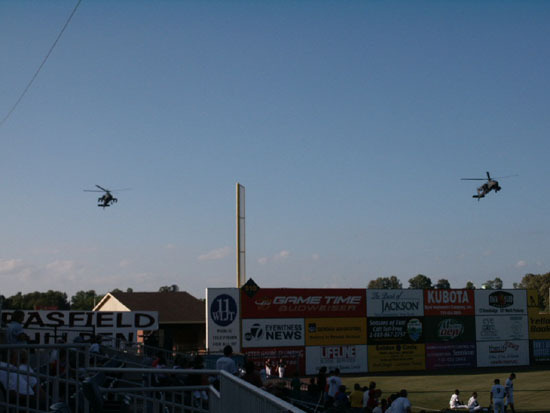 Two Apache helicopters hovered just outside the left field fence at low altitude with the blade wash buffeting the trees quite a bit. 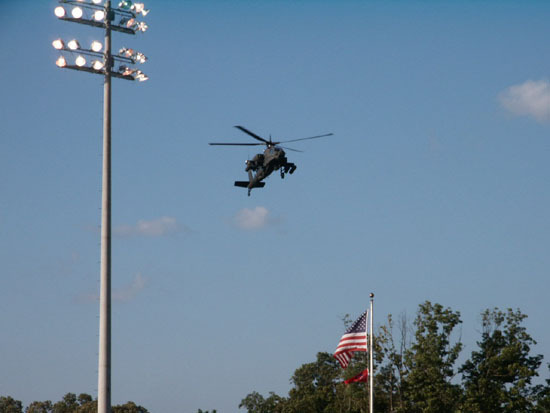 They did a fly over after the National Anthem at a higher altitude. 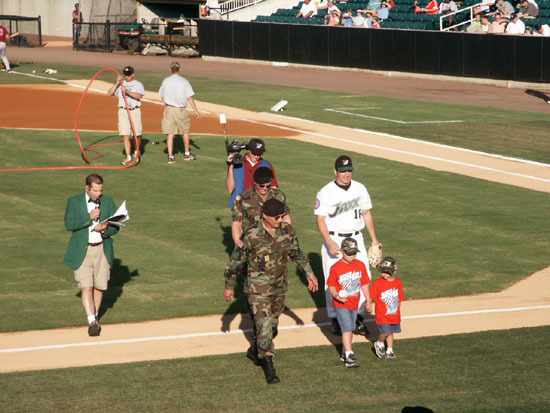 The commanding general of the Army Guard threw out the first pitch. 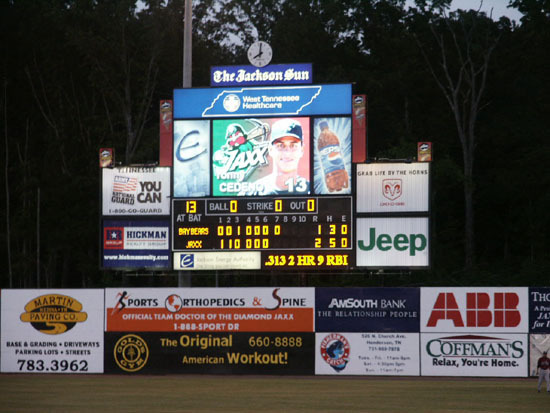 The Jaxx were playing the Mobil BayBears and won 2-1. 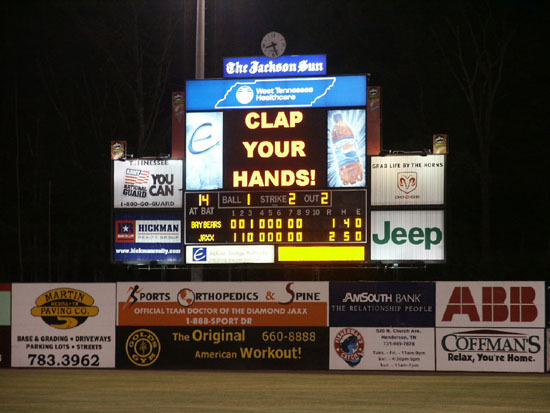 All scoring was done by the third inning and the game was over in just under two hours. 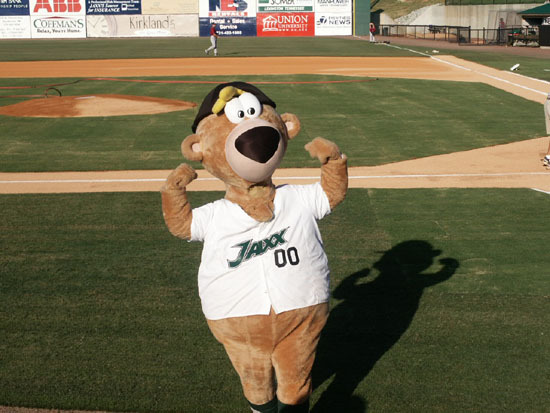 The box score was BayBears R-1, H-4, E-0 and Jaxx R-2, H-5, E-0. The field lines are RF-320', CF-395', and LF-310'. 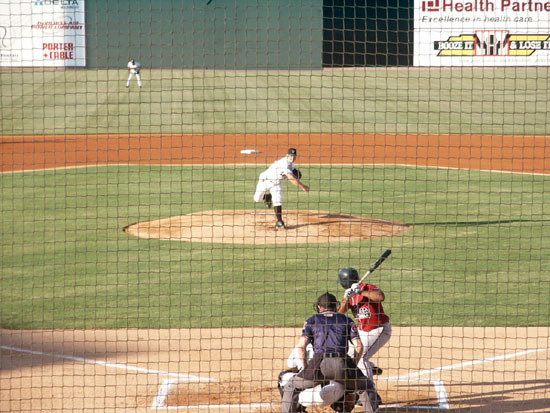 Probably the most exciting part of the game was the last two outs which were pick-offs by the pitcher. The scoreboard is in right field and you can't read the numbers until the sun sets. The mascot is Ribbee. 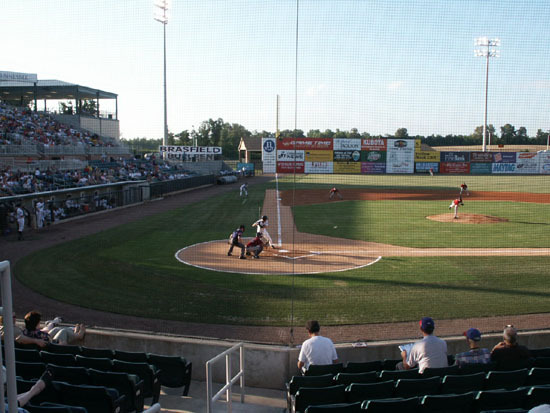 One of the mid-inning activities is trying to catch in a fishing net stuffed catfish that are shot into the air. 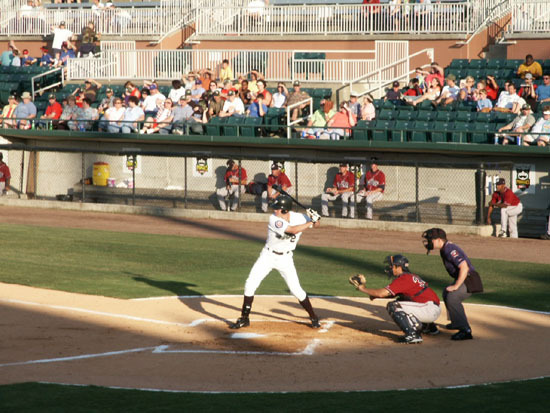 2007 affiliate of Seattle Mariners. 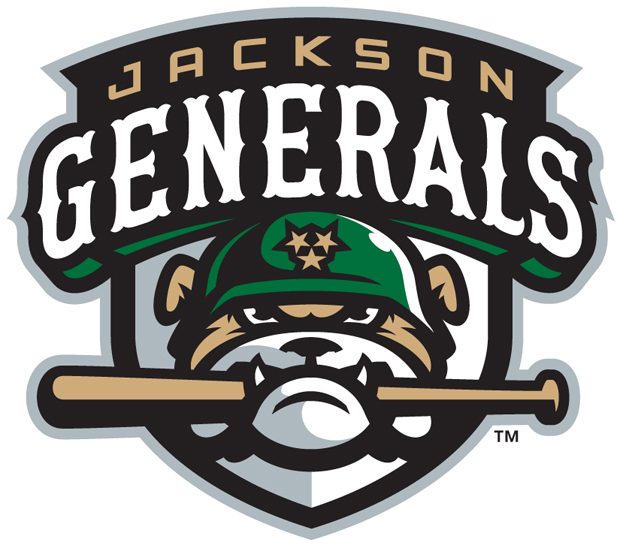 2011 change name to Jackson Generals with new logo. 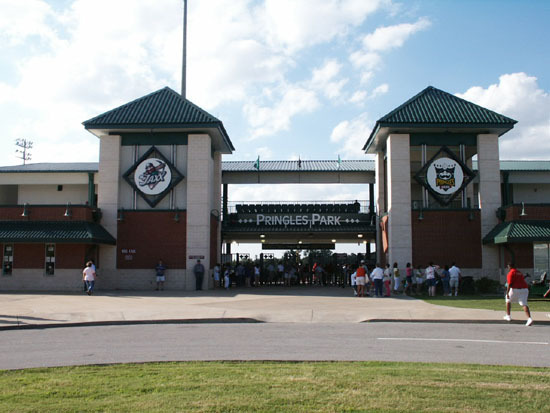 See 2011 Fields Visited. Casey Jones Home and Railroad Museum This is the home of Casey Jones. A sister engine and tender to his "Old 382" are in the museum which also displays assorted railroad memorabilia.